We've just launched 3 new products: Unisex Tube Socks, Men's Ankle Socks and Women's Ankle Socks! They're all 100% polyester and come in one size. 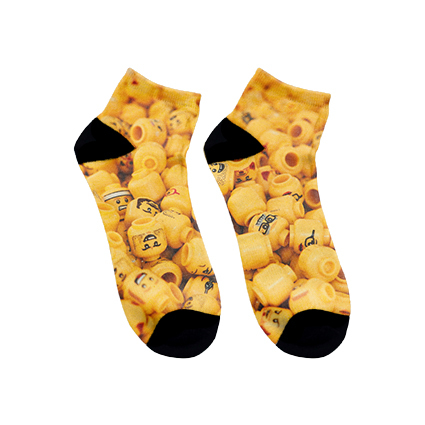 Socks are great as an upsell item; it's likely a visitor to your store isn't there for socks, but there's no reason why they won't add some to their basket along with the t-shirt and hoodie they've chosen before checking out! A great way to suceed with this is using an app, such as Product Upsell from BOLD (with a free trial for 30 days it's well worth giving it a go). 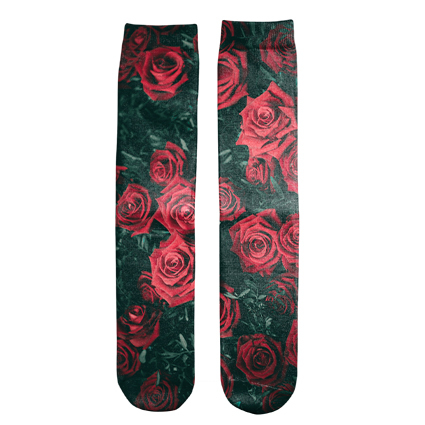 These socks are printed using dye sublimation, where heat and pressure are applied to a transfer to cure ink within the fabric of the products. It's a digitial print method so we can achieve photo-realsitic results. We can print the white areas of each of these products (so the full area of the tube socks, and everywhere but the heel and toe of the ankle socks). Any areas you leave blank will be white on the end product. Use a pattern, design or photograph where placement isn't important (like in the images above). Tesselate your logo so that it will be printed repeatedly on the product. Use our templates to create your artwork to the correct size and quality required for a high quality print (found on individual product pages). 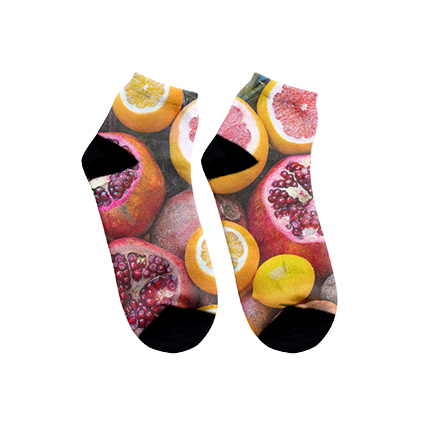 Once you've created your new products, add them to your basket and use the code SOCKS10 at checkout to take 10% off! If you'd like any help with ordering samples or you'd like some more information about these new products you can send a message on live chat or send us an email.